Works extremely well for all my work things that I need. Runs pretty smoothly! This is, quite possibly, the least user friendly payroll app on the planet. Awful. I do not like this app. I unable to record/request my vacation time. I can only access Personal Holidays and We’ll-Being Days. I see my Vacation balance but I am not able to request it as time off. Great for big companies and also organizing yourself as an individual in a workplace. Logging in is a bit of a task. It’s a great app. It’s just that the password you are required to create is often very complicated to the point where it can be easy to make a mistake or forget. The overall workday experience is frustrating, inefficient, and not user friendly. I can’t delete a draft of an expense report nor edit it with ease. Very disappointed and unsure why any company uses Workday as friends in other aspects including finance share my frustrated sentiment. I would enjoy Workday more if I could see my pay slip a day earlier. My company does payroll Monday night and Payday does not allow me to see the amount expected until Wednesday. My check is deposited into my account Wednesday night so it’s kind of pointless. It keeps crashing. They don’t update your pay slip on Tuesday like the old system. Well it’s sometimey. I’m just trying to see the point of it. It hasn’t made getting your info easier. Pisses me off that I have to make up a new password every other month. App redirects me to Microsoft and has me reset my password the when I do that it still want allow me to log in. This is perfect for me, since I always forget to do my time. I’m trying to login. The page states it sent a passcode but I never received it. I’ve tried multiple times. Okay app just wish it would save the password for a quicker login. This app does exactly what I wanted to do with not a lot of complicated steps. Workday is so user friendly, quick and a great site for work. Taking days off and using this app is easy to go through. Love it! Requires a password change, which should be left to the individual. When password is rejected click “forgot password” they ask for e-mail. Never hear from them again. Go to HR and 30 minutes later it’s up and running. Requesting a new password. MIT was closed that day. Never seen an app so limited. So slow Not really worth the effort to review. 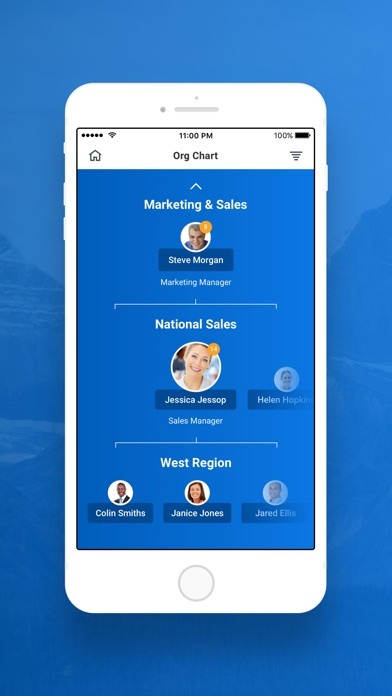 Use workday mobile for everything on the go. Don’t really ever need to use desktop anymore. Keeps crashing every time I try to log in please fix! Unintuitive Garbage. Shame on you! The app give absolutely no guidance on how to enter your time or do the simplest tasks nor does it make it clear how from the interface. I’m out of the office for 50% of my workday & management insists we capture & entry all instances of work activity with accurate timestamps. A mobile app sounded like a lovely way to do so between driving to meetings, receiving phone calls, etc., however that function seems inaccessible & the help menu constantly returns null results. I’m reduced to keeping my time in a notebook and entering it when I have the time to do so in a browser. Y’all should be ashamed of yourselves for letting such a poor product bear your name. Use to enter expenses, view pay stubs, complete surveys, consume learning, etc. All on the go!! Very easy and simple to use. Not able to access anything. Even just before I log in I cannot even get the app to respond to my touches. I'll tap for username and no response. I actually have to exit the app and open it again to get the keyboard to pop up then it asks if I want to save my password. This of course leads to me frantically tapping not now and nothing responds! Even refreshing the app does not help. Not a user friendly app in the slightest. App just freezes. Unusable for me. iPhone model MKT32LL/A A1688. iOS 11.4.1 (15G77). The app freezes immediately after opening. Have reinstalled. I have to use the website, rendering this app useless. With the latest update it’s asking for a security code after you login... where are you suppose to get a security code?? I’ve reached out to my admin as well as IT and no one knows... great. Would be nice if we could clock in & out through this. (Travel purposes) I can also understand why they don’t though. It would be really nice if the sign on authentication could be done by fingerprint or at least remember the sign on email for easier/quicker access. It is horrible that the system has to change its password every three months. The app itself is not showing the other applications are not showing up in this app. Please fix this as soon as possible. Doesn't work! When you choose manual for the code it doesn't give you a box underneath, worst app ever. So basically I will never get paid again. Thanks a lot workday. Super easy to use, puts all the data employees need access to in the palm of their hands. The app asks you to set ridiculously long and complicated passwords that need to be changed every month. I’m usually locked out of my account than not. It looks fantastic but looks can be deceiving. It lags, and it won’t sign up into OKTA easily on my mobile app. Still could be improved tenfold but this is a big improvement from what it was. Satisfied. Why does this app never work correctly? Never lets you keep a password and changes required information without notice. USELESS! Not user friendly. When I open it, it only shows 4 out of the 11 apps I have on my homepage. Cannot access the pay and benefits ap because it doesn’t show up. Works great from home or while at work. I like how you have access to your pay slip at any time. I have not have any problems with the app at all. Easy and simple to navigate. It would be great if it mirrored the desktop version to deduct time for lunch. Also, it would if touch-id was an option. Good overall but needs to have touchID or face ID in place for easier access. Our move to Workday as worn us out. The app is fine, but knowing how to get info is a struggle without an expert to train you. Poorly written, very buggy. Can’t even upload user photos. And their mobile web client is equally bad, so can’t complete my on-boarding on iPhone X at all. Lame. I guess they can’t hire any competent engineers these days. A little complicated at first, especially the mobile app. Once you get going though it’s not bad. Every time an update is done just keeps crashing, at this moment the app is not able to find my company “fail to find tenant” please save your bull about how this app is good and powerful nothin but a big headache, I wish company would have stock to the a d x we had but that would have make sense. So easy and user friendly! I love it! I can’t even get my payslip to generate. Quick, easy and always tell you what your making before u make it. I enjoy having mobile access to some important tasks for work. I’m able to submit timekeeping to the minute because of the mobile access. Able to see pay slips on the go and work with my leadership remotely. Only flaw would be regarding timekeeping that sometimes the app will tell me there is an error when there isn’t one. Eventually it goes away but it does redirect me to correct entries that don’t need correcting. Small inconvenience but I have faith that the workday team will correct it. Thankful for this app and workdays partnership with my company. It’s dumb that this app can’t remember my device. I have to get a code texted to me every time I log in. Every month or so it always asks me to reset my password because it doesn’t recognize my current password. It doesn’t even accept my answers for the security questions. This app is horrible. I always end up calling customer service. What’s wrong with this app!!! It is extremely difficult to reconcile my pay now that you only issue 1 combined check. I find numerous mistakes with payroll and it takes a lot of time to reconcile. Then I have to review it with the managers to determine where I’m short pay. My company started using workday for payroll and HRIS as of January 1, 2018, it is now August and we still have bugs and major issues with this software. We are a company with over 50 stores and I have not spoken to a controller or payroll person yet that has anything good to say about workday. I would love to include some quotes but refrain as they are explicit and vulgar. Employees are lined up at the door after every payroll because of workday issues on their checks. Payroll processing takes much longer and is much more tedious. Accounts are harder to analyze because of all the entries and reversals the workday system generates. In all, workday has made my work life a nightmare filled with anxiety! I hate workday! This app requires you to type in lengthy credentials every time you want to access time card or anything. Why is there no fingerprint option like all other apps? ADP does and is way better than this garbage. The app will only let me see my check stub and the check stub comes a day later than before we had the app/program at work. Will not let me log in.. I’ve tried logging in online.. and no luck. Can easily log in through my works internet. They were not supportive enough to help me reset my password so now Im locked out of my account. I would like to see exactly what jobs I got paid for. I find it incredibly difficult to understand why this is not available. Garbage app. App freezes regularly, buttons don’t work. I have a new iPhone 8 so it shouldn’t be a hardware issue, plenty of storage space on my phone and a good WiFi signal. I can look at my pay slips, most of the time, and that’s about it. Unnecessary steps to clock in and out. The corporation I work for just started using this app. It’s a pain, trying to log in and it just continues to have me log in and answer security questions, then the app just restarts and I have to do the same thing, over and over. The app never opens. Useless. An incredible idea to see your paycheck before it gets deposited!! The app is basically just the online web page in an app. It’s very frustrating that you have to log in every time, and to get to my log in screen I have to click and let the app load multiple times until i can actually log in since there are steps in between. I might as well just go to the website. Horrible app I have ever clicked on appstore!!! I signed in , and it keep saying “your session has expired” for last 45 mins. I almost tried 20 times ! To log times is far far away from me. Wish I could give it a RED star , an angry star!! Biometrics is better and safer than pin. I’m required to use a pin to log in - which would be ok but my phone has TouchID capabilities which is easier to use and arguably more secure. Other work applications allow me to us biometrics - like Outlook. We at Target are just now adapting the method of this app. 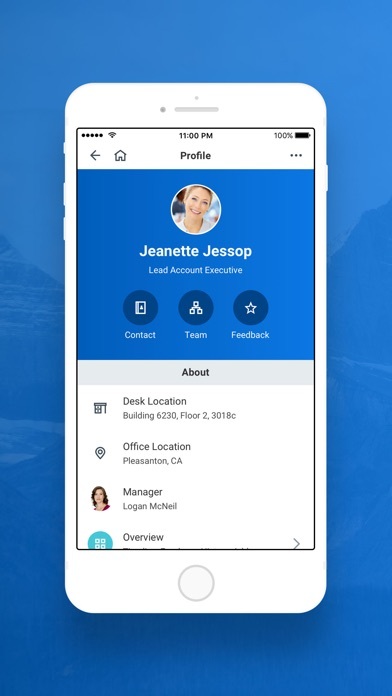 The apps navigation is disconcerting and confusing to the user to the point where calling HR, Tech service, Team member Assistance and Corporate could not add or even give tech support or aid to users on how to operate or navigate through the app. This app is very poorly constructed and all other ways for team members to use employee pay, time changes, punch changes and other service are only now available to the app and app alone and therefore services that were eligible for use and access are now no where to be found and there is no one who knows what to do for even a simple task as direct deposit. Workday is the worst thing that has ever happened to my institution... maybe more so to an old school like me. Nonetheless, nothing can top this app in worthlessness category. I enjoy with the staff at Whitley Garner and ministering to families. Great job ! So far so good! I needed to easily access my pay stubs for a loan application. It would have been nice if i could save the pdf on my phone. I was able to take a screen shot of the pdf and email it to the lender, so that was enough. When I click Touch ID the app crashes and logs me out. App and employee portal needs major improvements. Not user friendly at all. Needs easier log in. With iPhone, should be able to use fingerprint for example. The Workday app makes it easy to take complete tasks when it’s convenient for me. It helps make the workday more productive because it prevents interruptions during regular work hours. Why can’t I see there days off ? Get an error? The app does not allow viewing of many documents which makes users either approve blindly or wait until they can access the program on laptop or desktop. This app is great and available at a fingertip. I was able to check my information even while teaching in Tanzania. It’s Great! The ability to put in one’s time card without having to physically be at work. I love it. I love Workday. I have access to everything I need — from org charts to expenses to payroll and so much more. It’s simple and so easy to use. This needs to have either a simple passcode or biometric login enabled. Not user friendly with clicking around initial webpage. Once it gets past the logging in, it’s fine, but logging in is a hassle from an iPhone. Please fix to be more mobile friendly. Just need to be able to do more on the app, not everyone has access to a computer. I am impressed how user friendly Workday is. Many apps claim that they are, but when trying to navigate through they proof to be anything but user friendly. Good layout poor execution. Extremely cumbersome and slow. I much prefer ADP. It amazes me how slow and glitchy this software is. I absolutely dread expense reports because of it. Why would you force someone to change their password? No one is going to hack into my workday you dummies! I have not been pleased with workday. Personally, it hasn’t been intuitive, I can’t use most of the functions from my mobile and it’s been more frustrating than helpful. Bummer. I’d love to learn the system better. App is a great idea and easy to use! Unfortunately, it shuts down every time I try to use the “time off” function. I tried about 10 times the other day and eventually gave up and had to go to the website. Tried again today (about a week later); issue still isn’t fixed. This is the main reason I would use the app. Also, clicking on the “app support” link in the App Store takes you to a sales form. Not helpful. I would have preferred to contact support vs leave this review. Will update when bug is fixed. I love the colorful and it page comes up quick. I’m happy with the update. I’ve constantly typed in my job Identity name but it keeps saying about it being a invalid company name. So I did it by the directions and it’s still not working. Easier to use than computer version. Love it! I give 4 stars because some email not support on mobile. Other than that everything good! It’s slow and really annoying. It’s like they hired a web UI guy to build an iOS app. Wish I didn’t have to sign in and go through the verification process everytime. Please update and allow for fingerprint accessibility. I hate using workday. The password thing is a joke. I have to cAll like once a month sometimes two just to have my password reset. I keep my passwords written down but I can only log in once on each device with it. Like right now my password only works with the app on my phone but not on my computer or will not let me use it to log on with out the app. I feel like am in elementary special ed class when I'm using this ap. Deletes hours entered and requires resubmission twice for weekly hours. Submitted week, screen shot as proof, didn’t get paid. The app is easy to use. However, it requires a lot of entries, which I feel could be more streamlined. I need to add a unit of time on top of hours worked. Is this an issue of the app itself? I’m not sure. Perhaps it’s a work around for making sure the math works. Honestly, punching in and out was more efficient. I do like convenience of an app on my phone, but now I spend upwards of 15- 20 min inputting lots of boxes and checking and double checking boxes, just to be sure I get paid. Don’t like, I’m under contract, don’t need Workday. This app is fairly easy to use and makes punching in and out, requesting time off, and checking vacation time much easier! Challenging and tedious to navigate between screens when approving time. Makes no sense to have to leave a screen and go back to home screen when approving time. It would be nice if we could see our schedules, also we used to be able to click in and out on workday on iOS we no longer can. Great app! Just wish you didn’t have to log in completely every time you open it. Not only is this great at work but you are able to access from home note your out sick or best of all submit your time from home Awesome! There is no need to be forced to change your password every 6 months. I changed the school tax on the computer at work so they would take out liberty Union-Thurston school tax. And there is no way I can do that on this app. I cannot add overtime properly during the week. When I do, I get an error, therefore I have to lump my overtime and regular time together until the end of the week. At the end of the week, I have to delete all the time entries with overtime and then enter them properly. This has taken me up to 30 minutes to just get the week straight and error free. I hate the system and would rather use TSheets or some other time tracking system. How do I change time zone ? this App is so great!! i really like it. keeps track of everything:). thankyou creators. I do not feel the self evaluation is user friendly. It is too busy and has too many components. It could be simplified. Also if it can’t be simplified the directions for use are not present. Very frustrating to use. WorkDay is, hands down, the WORST piece of software that I have ever used. EVER. It has caused me countless hours of wasted productivity to use and partially understand. Completely illogical. Un-adaptable and inflexible. How this company is able to stay in business is an utter mystery to me. And EVERYONE at my university (LSU) agrees with me. If you don’t believe me, just ask..... anyone. I am not lying. First; when I open the app, I get a question as to what I want to log into. Can’t you remember your OWN Existence?!! Then, I have to write-in my long company/login (can’t you remember ME?!!) ...then... finally time to enter my password. Very convoluted to use!!!! Awesomeness guys. Your always on time. Giving three stars because I'm glad to have the option to log my hours at home but all of the features that make the website easy to use not included in the app. Include the quick-add option for entering time and it's be so much better. From the first moment you can tell Workday was designed with the Web in mind, not adapted. Clunky app. Not intuitive and doesn’t follow app conventions. Needs more options for turning off recurring notices. It would be convenient to be able to view my calendar with applied time off so I know what I have coming up via mobile. Workday is by far the best software! This app is worthless until i can see my check stub detail. All the fancy gadgets are great but I’m never going to check my “workday drive” or whatever that garbage is. I’m never going to need to view an org chart in the go.....i do however need to see the detail of my pay. Regular time, vs commission, vs PTO. Until i can see that this app is garbage. Can enter .5 day to ask for time off. Need to correct. Horrible NO WAY TO CONTACT SUPPORT! Y I gotta login every time?? This app is categorically terrible and awful in so many ways. It is really bad. It is literally the worst. Can’t show accumulated time for a pay period? The plus to this app is that I can enter my time on a mobile device. However I wish it could show the accumulated time for a pay period and not just a week. Our time periods end on the 15th and last day of the month. Would be nice to have a running total so I know if I am over or under. Stop having me make ridiculous passwords with all these random numbers and symbols just keep it simple with letters. Workday is the way to go for any small, medium or large businesses! You won’t regret it! Used to work great until an update a few months ago. Since then haven’t been able to sign in at all. It would be nice if you could print your paycheck stubs from the app instead of just seeing them. Also it would be nice if you could request days off threw the app instead of having to go to reflexis. Other than that I guess it’s ok I liked the associate portal a lot better you had where you could put in your hours and it would tell you how much your check would be within a few dollars and that’s completely gone now. Time entry with this product is extremely cumbersome and an inefficient use of time. Once you have completed the lengthy process of entering your hours you then have to click on a mind blowing amount of things just in order to submit. That’s hoping that the application even responds. Expect lots of lag time and crashing. I couldn’t be more disappointed. The app's interaction is completely optimized around the underlying database structure, rather than user needs. Entering time sheets in incredibly laborious -- click on Time Type and wait of a menu of generic time types to appear. Select a time type category, and wait for the system to query the members of that query. Finally, you get to type your value, but don't expect common patterns like Google type-ahead to search as you go. You have to wait again for a server search for potential matches. And once you enter your time entry, if you decide you need to change the category, the Workday app erases the hours field that you entered before, so hopefully you've remembered it. And don't even get me started on expense reports. I sorely miss Expensify and Forecast, which we were using before our corporate office made up standardize on Workday. Workday is definitely a product built for the convenience of the engineers who auto-generate this horrible interface -- not for their users. This app is useless. Why would you enter hours for an employee and then have to submit and then approve those hours. If I have access to enter hours why do those steps. This app is the worst. I love how easy it is to maneuver through the app! I find workday very useful especially the app. I think It would also be very convenient for each user to have the ability to create a template of their normal work week hours that could be copied on a weekly basis. In the beginning it took a while for me to learn. But once you learn all the little symbols it is easy to use. Every so often I have to log in using my company ID and password. Not sure why. It is like the app is auto logging me out. App is okay but could be a lot trimmer for those of us who just put our 8 hours in every day. Easy to access and use. Would be nice if there as access to WF job listings (or maybe I just don’t know how to do that on WD)? The app is great, but it’s very annoying to be putting passwords when you just can do fingerprint scan!!!!! Please work on that. I’ll really appreciate it. I’ve been using this as an alternative to clock in and out of my work place and it works for the most part however it never fails that almost every month I’ll have to restart it and go through the verification again which is very annoying. Suddenly I can not sign in it’s saying my username and passcode is incorrect. The security questions showing up are not the ones I set up. Love my workday portal. It has everything I need at the tip of my thumbs. So thumbs up to the team who developed it and the mastermind behind it. When the app works, it’s helpful. What I find happens is, I have to log in/register every time. Other than that, once I’m in, it’s helpful to see all my paystubs and be able to adjust or submit my time card. Gets a 1 only because 0 is not an option. App is really good and easy to use. The issues is you cannot add 2 requests for the same day. If you’ve requested to work compressed week it won’t allow you to request work from home (logging throw browser allowes that). Biggest thing a company should venture through and see is the mobile friendliness of an app they expect there employees to use and some its all they have option wise. From attempting to write down goals, to navigation around, to viewing certain pages content or trying to write a review; work day NEEDS WORK to better its mobility for user. I have no other choice but a phone to log in to workday and I dread it most of the time. Can’t get any easier than this! Garbage app. App freezes regularly, I have a new iPhone 8 so it shouldn’t be a hardware issue, plenty of storage space on my phone and a good WiFi signal. I can look at my pay slips, most of the time, and that’s about it. Need to put here how much vacation time we have saved up so we can keep check on it. Thank u.
I use this in my work at Whole Foods. Very convenient to be able to request time off when I’m not physically at the store. My only complaint is the second you walk away or stop moving the cursor it tries to time you out after 5 min, it’s quite annoying . I believe I did it correct but it still says there is nothing confirming the request. I assume it will populate once it is approved? Intentionally difficult to submit hours. One of the worst apps ever!!! We just converted to a Workday in Jan. I find the there were things that we asked for and the said the system could do, in the end our requests were not met. It would be really easy and comfortable if touch ID option is added so users won’t need to login with their credentials every single time. You should be able to do everything in the app you can do on a laptop. Not very useable, not very intuitive. Can’t access email not very helpful for nursing staff. Thanks for the organizational chart that’s something I need to use everyday to remind me who’s top dog? Another different site in a cluster of chaos, crashing apps, password resets, impossible to keep on all the changing IT decisions made without nursing input? I got it but it was a little confusing to enter the time for the first time vi Workday App. It would be more convenient if the default was 80 hours. Very easy to use. Good navigation. No problems with it at all and I have used it for 3 months now. Great product. The only thing I wish is that I could sync my fingerprint just like on almost all other iPhone apps. I don’t like having to type in my pin every time. These days everything is about speed. Used ADP for years and I really do miss the continuity that ADP offers from one payroll company to the next. I would have liked to seen all of my ADP historical data imported so I could continue to compare YTD over multiple years. WorkDay is very basic in this area. Haven’t been able to log in since last update. If I could give negative stars I would. This product was chosen to manage a university system which includes a medical school and clinical faculty. However it can’t seem to handle any of the predictable issues that are crucial to running this organization. Examples are grant management , sponsored project management. Simple issues like adding our accrued time off that rolled over have been impossible to sort out over the course of two years. The project should be scrapped and we should move on. No redeeming qualities. Works well on my iPhone, but terrible on my iMac at home. I have no idea why. Yes I like our new time system (workday)for many reasons. The only thing I don’t like is that we have to go to the job computer site to make certain changes; such as passwords re-set, or to create one, etc... if we could do them on our laptop or tablet?! This would be a 5star site!! A little tedious to navigate through! I think ADP was more straightforward, than this new service but starting to get the hang of it. Screen just remains blue, then I get an email stating “a sign in from a new device”. Un-installed, re-installed - nothing. Can never login Even with the right password and login name!!! Updated version makes me unable to login with SSO? I love the app, but have to use it a lot as I travel and I would love to have access to everything just like the desktop. Also, I would like to have access to assign/complete items to all employees under me in my team, not just the direct manager under me. And I would like to be able to cancel started actions, such as promotions or scheduled interviews, when plans change. I use this app for work so normally I have no problem with it until a week after the latest update when it kicked me out and gave me an error message. Maybe an update of the latest update is in order 🤔🤷‍♀️. When opening a Pay Stub you get the option to print it. How about an option to save it to iBooks or something since I’m not always near a printer and having in iBooks would give me easier access and I wouldn’t be killing trees all the time to print out. Stop making everyone change their passwords every month. All anyone does is just change it by one character and then change it right back to what it originally was. It’s pointless. Every time I try to use the app, I have issues. Now, it won’t even open. All I get are the 3 dots while it’s thinking. Please fix this crap app. I have no choice in using it because of my employer. This app is horrible. Always messing up and just goes blank. Unfortunately it’s the only way to see my paycheck. Lots of complaints at my work about it. Hoping company stops using it. It is time consuming and complicated and not user friendly at all! Also it does not easily access how many hours are being used for PYO, so you know when to take time off! Literally not a single link to a webpage works. Weak. Too much information clutters the effectiveness and intuitive flow that an app should have. Poor connections and communication with the underlying corporation that I work for makes this app difficult. Not a user friendly program. Has to many data points that are not required. Everything takes 2-3 times as long as it did before. It’s nice to have every thing in one place. It would be nice to have ones schedule in Workday. Great start. So easy to use, and never had an issue! I like work day because I can go into work day to request my time off. I like it so much. Sign in buttons don’t work. When doing anything first time in here it’s clearly not clear. Make it simple. Yes it’s simple for you as you wrote the program. How about changing the wheel assembly in a 4x4 for the first time ever. I can but it’s easy for me. I bet not you. Then you know how it is for me. Please make it simple for the first time users then it’s easy for all. Takes to many steps to enter hours worked. The system has many error codes which myself and my manager have had to go back and correct. Workday knows how to build an app. Easiest expense reporting processing I have ever used and I have used Concur / many other expense systems. Also, fantastic for looking up fellow employees in the directory, requesting time off, and checking my paystub. I’m also starting to use the app for training. Video player for courses is excellent. Nice job Workday! Why can’t I set up Touch ID? iPhone 8 Plus Verizon. The phone app doesn’t have the entire full function of the app for the computer. It is inconvenient to not be able to do/see everything on my phone. Shawnme was so much easier. Y’all put this appt. on here and didn’t give any training on how to use it.... NO communication!!!!!!!! The app did a good job with cosmetics and capabilities. The trouble is that when you need to use these capabilities, you have to jump through many hoops to accomplish your task. Specifically on the expense and financial side of things, this developer has no clue what they are doing. Remaining hopeful that future updates will solve their problems but they have a long way to go when compared to some of the other apps and processing apps I have used. Everything I need to do has to be done through the website, except now I can't log into the website without going through HR first. The only thing this app is good for is viewing my check stubs and since I receive a hard copy of those it's really just a waste of space on my phone. Very difficult to find candidates. Limited search capabilities. The people who actually use this app hate it. Its user interface is complete garbage. Absolutely terrible experience with this app. The app supports the new screen layout of the newer X Series iPhones but they do not leave enough space at the bottom of the screen for the home bar when their custom keypad is up causing the app switcher to appear when pressing 0. You must be careful and press precisely at the top of the bottom to select 0. The app always freezes, so I can’t sign in. I haven’t been able to sign in for weeks now. It’s the only app on my phone that’s freezing up. User friendly, but cannot see and do everything that I can on a computer. This is one of the best time, Benefits and pay apps I have ever used. Work Day keeps payroll paperless and convenient. I can review my earnings from a mobile device. Nice that Touch ID is allowed but login is kind of clunky when that doesn’t work or my WD password was changed elsewhere. Only real complaint I have is when you log out for a break the app rounds your time down when you stop the clock. So if you’ve worked 4:30:59 when you got to take your break it’ll take away all your seconds and show 4:30:00. When you’re putting in years for a company, that adds up to time you’re not getting paid for. Great to have easy to use. Great and convenient helps manage pay and putting in for PTO much easier very happy with this app. Every time there is an update I lose my password. Then when you put in for “forgot password” it sends an email saying you have to many login fails, wait 30 minutes. Personally “WorkDay” is just another pointless app that’s made out to be worth while. If you have to print out your stub you have to use a laptop or a desktop, which defeats the purpose of the app. Their argument it’s so you can use to check pay but when you dig into the app it’s plan is to make people less personal with each other company wise. this is absolutely pointless! It has made nothing better but we have to use it, we are more likely to be hacked having are pay posted on our phones and online. There was less problems with paper! At least paper didn’t need to be updated, paper never got hacked and paper never deleted your password. Great place very helpful thank you for everything you do. The app is pretty good overall. I do wish I didn’t have to log in every time I want to use it. I also think it would be a good idea to have a month view for entering hours. It pisses me off that I constantly have to change my password each time I log in. Can’t really use the same features as in the computer to approve time off for my team and other team features. Work day is a Byzantine frustrating process. All the move forward and the needless layers of approvals and tasks. I can’t stand workday. The process is simple and concise. Well done ! Thank you for creating one touch sign in...now can you make it to where I font have to change my password so often, then I can’t use the same password for over 12-months. I can’t remember all these passwords! I cannot access pay slips like I can on the website . Well, I can’t at all . Why even have the option when it doesn’t work ? I love the flexibility of using this app while I am out of the office. So far this app has be pleasantly easy to interface with and brought updates and clock time to a whole new level of access and tracking. How do I set up my direct deposit cuz I am on my iPhone 7+ and it isn’t letting me!!!! I don't like that I have to submit the time even after I've clocked in and clocked out. It’s a horrible app but last update doesn’t let me do anything. Fix the app. Great way to stay updated with everything involved with work! Participants always have to re-enter or re-submit due to load issues. Every time I have to use this damned app I have to call my employer to reset my password bc for some reason the app is unable to remember my face and locks me out. sloppy job in creating this app! doesn't work on the latest iPhone with every thing up to date software wise! The app only launches to the home screen no widgets or anything iPhone XR IOS 12.1.4. Hot buttons don't work. Useless. I checked compatibility and my phone more than exceeds the app’s requirements. Makes it so much easier to manage my time and check my pay stubs! I wish there was an option. To stay logged or use the fingerprint scanner to log in. It would help not having to sign in every time I use the app. I like Workday and use it on a regular basis. The only thing I recommend would be adding the ability to see our points on Workday. I support Workday for my company. I configured this app years ago and it is widely used by our employees. I see many critical reviews here. Please understand that your company determines how they want to enforce security and many of the available features. Moreover, they may have very good reasons for configuring it as you see it depending on the features they’ve adopted, security policy, etc. I encourage users to provide helpful feedback to their company. Help them understand what you find useful and also frustrating. You may be surprised how quickly and easily they can make the app work better for you and your co-workers. 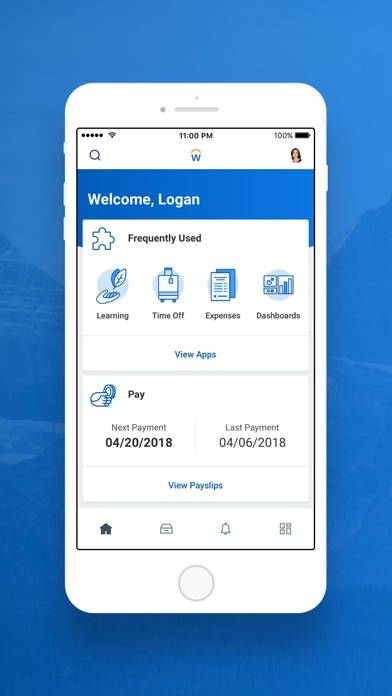 After I updated this app, I can’t open my payroll page anymore. I think something is wrong about software. The app has been improved. I just wish entering time would allow you to add the same time frame to multiple days instead of manually entering it in for each day. The time section interface does look better now though. Keep up the improvements! Does what it should do, which is something I can’t say for most business apps. Please update! Nothing loads for me and the app keeps force closing. Tried to log in on the mobile app but keeps saying session expires n logs me off. I don’t even make it to set up a pin because when I’m setting it, it freezes then kicks me off. Tried to google the problem or get support but I have to call personally. I’ll just keep doing it on pc I suppose. I used the app primarily for checking my pay slip. I wish they would return it to the menu. I usually use my phone to clock in or out for work on the website an I was excited for the app because its easier to log into just by my touch id but there is no clock in or clock out button so I have to go to the website to go to the time clock so basically the app is useless to me. The app is convenient but they constantly as you to change your password like ever other month. Enough already. I have to constantly call IT to get a new password and the convenience wears off. This Work is very convenient because if I forget to put in my time , I can go to the APP. I haven’t been able to log in since the new update. Time entry should be easier . Having to fill in my login info every time to login is annoying. Please add the Touch ID feature then I’ll give a better rating. App is completely broken as of update. Can not log in. App states can not confirm secure login. Yet I can login from mobile browser. Just got the new update and the pay tab is gone. I can’t even view my **** paycheck!!! A business app that works at the Enterprise level - hard to find! I find it hard to find what I want. I can’t run summary reports like I could in our old system. Training was horrible and the online help is worthless. It would make use much easier if you added fingerprint recognition. The next update is great! The home screen / dashboard is much more useful now. Great job guys. Please minimize the number of clicks (or taps) required to enter time. For example if I want to enter 2 weeks of time worked It requires a minimum of 40 taps. And that assumes you are only using 1 task per day. It could easily be double or triple that if you need multiple tasks per day. I’m over Workday at my Company. I’m confused. Workday 30 is coming tonight/tomorrow... and I thought community said this app update was today—and your pics show the 30 version, but the app update I have is not changed from prior version. No frequently used apps, no navigation bar at the bottom, etc...Why does this download not match your screenshots?? The app is descent, could be much better. Until WD can do geofencing or distinguish between mobile and web time punches, we can’t use time entry much at all. Our managers actually just use the mobile website more than this app. Many things - it will tell you it cannot do in the app when you get them in your inbox. I love the app. Makes viewing everything easy and accessible. Why are we unable to see how many hours we have worked? Can we get access to know the amount of our upcoming check instead of waiting for the actual pay day please? Can’t see everything on my pay stub. Can scroll down. Crashes every time after I put in my pin. One you get the hang of navigating the different areas in the app, it makes it so useful for me to review my pay slips, time off days, and hours worked. The option to copy hours worked from a prior week into the current week is a timesaver. It would be awesome if Workday added an option and ability to automatically transfer my scheduled PTO days off into my iPhone calendar. Pain in the my di??? Best App to access work and personal information. I’ve used many erp vendors, Workday is the only one that has a simple and powerful app that works. For being an employee HR services app, this is actually quite enjoyable to use. Which leads me to use it more often. Include cookie support so I don’t have to log in every time and do a Duo Push every time I open the app. Convenience of mobile app is great. Don’t see a way to delete system-generated expenses that are bogus. This is not a user friendly application. Could use some work and fine tuning. Love it, but needs to have paid time off hours add. This isn’t really an appt is it? It’s like a tiny website. I cannot get the hang of it. I love all the information available to me in this app. Garbage app, no longer use it. I can no longer approve timesheets, now each week I get item is empty. The Badge App icons never work unless I sign in, then it tells me I have messages and inbox items. And why no Face ID sign in yet, come on, get with the program. This app has gotten worse with every release and is now essentially useless. I love I can review my time and if I see any issues I can correct it with my supervisor. I love this app. It’s a little large and takes up space, but with my new IPhone 7plus it doesn’t matter anymore like when I used the prepaid Android ZTE phone I once had with only 8gb. Love the my work day ! I really don’t like this system at all. There are way too many problems with this app. Let us go back to the old system!!!! Just does some bugs but nothing to bad. Great App for the work place!!!!!!!!! Best app for watching your pay & taxes! This app has made it very easy to monitor my daily hours to be paid, monitoring my tax credits, & monitoring paid leave hours as I’ve earned them. It also makes requesting time off easy, including sick and personal leave. Making any changes to my benefits, and creating expense reports to be reimbursed for travel expenses is quick and easy. This is truly a full service access app that will benefit you in any circumstances. I really do love this App...easy access to all the information I need. The only reason i gave low rate right now is that it is inconsistent in working. For a while it would crash every time I tried opening the app. Now that it is working again if consistency is better I would rate higher. It could use some upgrades. Only 3 stars because I feel it could use an easier login system, such as a 4 or 6 digit passcode instead of the current access. Also, it would be a great convenience to view my work schedule online. I would use it for that feature more than any other. I have to reset my password every time because of the requirements, my banks password is less stringent than this. Need more access to the hole site. Nothing could EVER make an employee hate their job more!! Unnecessarily complicating an employees job with mundane logins and passwords to make them never actually feel like their work has ever ended is a sure fire way to make sure an employee doesn’t want to work for a company...hence why I took a another position with a company that doesn’t use workday. I enjoy this workday app because it allows myself to stay up to date on all work related information. Used for onboarding, learning, benefits and expenses from day 1. True mobile first experience. Thank you. I was able to jump into the app with virtually no training. I can request PTO, view my paycheck, do expense reports and find colleagues easily in one solution. I highly recommend this app! The quadruple verification is annoying. A PIN should remain and not expire. Just started using it. Rejects my password. Rejects my user I.D. Tried to reset my password and it asked me security questions that I didn’t even choose when I set it up. So ridiculous. What a piece of crap. For 3 weeks I have not had the Recruiting icon to see applicants! Nobody seems to be able to help?? Guess I can’t hire employees or see their applications!! Love the app. Very convenient and easy to use. You FINALLY get it working, they do an update... back to square one. This app sometimes does not work properly. Also I do not like that it rounds up or down to the nearest quarter hour. There is no rhyme or reason to when I get rounded up or Down. Example sometimes my time will say 8 hours and 13mins when I clock out but when I check my time for the week it rounded me to a flat 8 hours. Where did my 13 mins clocked go? I can calculate how much I make each second. Why can’t the app pay me by the second? This application has been forced upon me by my employer. It is inflexible to work with. I put the app on at home, now my password doesn’t get work at work. I’ve yet to resolve an issue from 2 yrs ago when this awful application was implemented . Employers, nothing is wrong with your current system. Don’t force this thing upon your employees. Always resets, never works correctly. Super slow. Fix your horrible app. this app never works !!!!! I absolutely hate this app & only reason I use it is for work! it doesn’t recognize my company name & when I finally get into it, it always makes me figure out my company name again! I wish my company would go thru something else !! most annoying part is the support number is almost impossible to find! FIX IT! Can’t view announcements and emails threw the app! I have not had many problems with the app, but it is annoying having to manually login every single time. I’m assuming that the positive reviews are from management or friends of the software engineers. Want to have fun try submitting an expense report or travel report for compensation. Nothing about this app is intuitive. To be transparent. I’m a Workday employee. I’ve spent the past 17 years working within the enterprise software industry. What I’ve learned is that technology changes rapidly. Institutions need software that can adapt to new technologies as they are introduced. I use Workday at least a couple times a week for processing expense reports. Recording time off and managing my performance evaluation among other critical functions. I’m especially interested in using new functionality to support learning and the budgeting and planning process. The products are great! At Workday we call it the “Power of One”. All customers are on ONE version of the software. There is ONE elegant user experience. ONE in memory object data model. ONE security model. ONE business process framework. ONE integration platform. It’s the “Power of One” that is different by design. Enjoy, and have a great Workday! Everything seems to work on this app except when I click paystubs it crashes over and over again. Which is of course the most important thing for me to check so I can budget. my company recently asked for a new signin experience which requires additional verification upon signin. this is a waste of time and frequently doesn’t work on the first try. i have to authenticate myself using another app to use this one and frankly it makes me not want to use it at all. my phone is already security enough for the features i am allowed to edit within the workday app. it’s a headache and for unnecessary “better” security. Stupid design even in step one. Can't find my company by name. How difficult to make a full context search in these days. There are several tiny nuances that annoy me when using the app 1. No easy way as to what time to tell you to check out to hit 40hrs for the work week on a Friday. Always have to spend time to figure this out. 2. Who makes critical buttons gray?!?! Gray means you can’t click them in normal programs! The “Done” button on the clock check in page (confirmation screen) should be Blue to signify click this button. These specific nuances makes it difficult to use workday. Nonsense useless system adapted by my university. I must say the wort decision my university took to take this software service. Useless nonsense and waste of money for university after adapting their all employees on this useless confusing waste of time. All because of this I am loosing money from salary. Wrote administration they couldn’t do anything so far. They themselves admit this is very useless confusing system. Why university wasting money on such useless good for nothing system which is no use. Forget about user interface. They are sloppy even a amateur can design better website and system. Such a confusing and complex useless system no one can even imagine that too taken up by university which has their own IT system better than these sloppy designers. I am mostly not harsh but losing money wasting time when I don’t have time for such sloppy things is just making me restless anxiety and resentment. Such kind of non productive websites incorporation in the university is very dangerous and harmful. University mist get rid of this service and better get from some good established better system. Even if these are cheap but this is just waste of money to give them for such sloppy services. Saving every single penny from salary and living with frugality and these useless softwares technical problems just take away part of salary just because their sloppy confusing nonsense design. I don’t understand why sofwtares designers get so much money and salaries for such a sloppy substandard work. They are taking away lot of money from the people and in return give back good for nothing worth to useless services. They are just making themselves rich by selling useless services to govt and organisations. This update denied my log in and not able to log in any more in the app. This app is replacing our prior employee website, touting itself to be “easier!” It’s not. It is clumsy and slow. The workday website is just as bad. The information that employees want is hidden away under layers of unnecessary information. There isn’t a a concise menu of links or options anywhere. Pretty much everything I’ve needed is hidden away under my profile, though I wouldn’t consider any of it to be a part of a profile— just regular, needed employee information. It is one of the worst apps I’ve ever used, but unfortunately I guess I’m stuck with it. Be nice if they reworked it to be more streamlined and logical. Prior to implementing a full understanding of business needs- employee rules, banks of leave, etc should be in the test environment before going live. Very sloppy. Why launch a program with so many bugs? Not easy/workable at store level,,can’t easily navigate process,,no training!,,,every thing just rolling by,,,need assistance! Love my job love my peer group happy holidays. Click on payslip and crash. EVERYTIME! Nice job! Apps useless after last update! This app makes everything so much easier specially, when I forget to submit my time at the EOD. Constantly irritated by having to re-enter my password into the app multiple times before it expires. No other apps, that have a PIN number or Face ID, periodically have you re-enter your password. This should only have to be done the 1st time I access the app after a password change. It would be better if my company would have everything on it.that is designed for. Last time I logged in it said my password was wrong, forcing me to change my password. Log in a few weeks later same error message, password is incorrect. It gave me the option to use the old log in and I did, and my password worked. For a billion dollar company using an app you would think the simple things would be simple. When I select "Enter time" it gives an error "The task submitted is not authorized." If I then try to enter my time for the day it completely crashes. Running the latest version of iOS 10. Easy to use. You can see your pay slips, submit timesheet and extra information. There is no way I can download paycheck pdf from app. I really enjoy this App. Its very convenient for me to keep up with my sources of income. Thank you. I try to make changes to the federal and state and I can’t. As far as I take extra out of check and I wanted to change the amount and I can’t. Yet the option is there to make changes. Now I have to wait til I go back to work to take care of in office. I use to be able to view my pay stubs but every time I try to view it nothing pops up and completely logs me out. Please fix!!!! I use it to keep track of all things work related. Hours, training, time off. Work day makes it easy to see time calculations so you know how many hours you worked!!! Everytime I try to view my Payslip the app crashes and kicks me out. PLEASE fix this, as this has been going on for weeks and I see I’m not the only one with this issue. Workday is awful! My password and pin are constantly being reset on me for seemingly no reason. Also you can’t even view your pay stubs without the app crashing. I seriously hate that my employer uses this trash service. As of right now, this app is pretty useless. The links don't work well. I am not able to do the most basic thing such as clock in or view my profile. I was excited to see this was in app form, but very disappointed with its current setup. Would advise that updates be made to be more user-friendly. If it was functional, the interface is easy to navigate. The app tries but is not user friendly.. I like the fact of seeing my pay stub early. Just wish we could see our vacation and personal time available. The user interface is clumsy, the app is slow and not very reliable. With each use the app become a better resource to have at home. But, it would be even better if we could add our payment elections from the app. Workday has enhanced productivity in my area. It's mobile functionality is particularly useful. This app is horrible. It doesn’t have the full workday features and to get the rest I have to use their website which almost always tells me my password is wrong when it’s right or that my company’s information is incorrect. Won’t open important apps like payslips. The app has worked fine for awhile now except when I went to check my pay slip for the previous pay period, it acted like it would open but just keeps exiting to my iPhone background. Starting to make me mad. Extremely inconvenient to have to go through a million steps just to clock in for work. Especially when I have to wait for a verification code to be sent to my phone to be able to log in. I don’t even have to go through this much trouble with my banking app. The app also won’t let me enable Touch ID. I really wish I didn’t have to use this app but I have no choice with my work. I love this app because it keeps me connected to work when I’m away from the office. Allows me to check my hours my pay stubs and benefits as I need to. App is crashing when trying to view pay stubs. Time Entry on the app is not useful as it doesn’t allow for lunch hours which must be included on our time sheets. This should be fixed as it makes the app useless. Workday is garbage! I only used one star because zero stars wasn’t an option. Avoid this payroll method at all costs. I can view payslips, request time off as well as track my time. I even watch learning videos that my company made available on the learning worklet. Love it! It's night and day to the capabilities I've had with other systems and it's SO intuitive! Pretty much nothing on this app works! All I can do is sign in. It doesn’t let me add talent to any job applications. I can’t see my schedule. It is literally useless. What’s the deal guys? This app makes me want to tear my hair out!!! Great App to see your paycheck. I can even make a copy of it or send it to my email. My only feedback would be I wish workday did everything in the mobile app you can do from a desktop browser. Very rarely are business apps this intuitive and easy to use. Use it everyday for expense reporting, pay stub review, surveys, time off requests. Huge fan! This app is trash because every time I login the app and check my statements it takes me out of the app. I want to put zero stars but I put the one star to write this review. You try to log in with the correct credentials, and it gives you a messages stating your login “timed out” I would say this app is glitchy for now. My messages aren’t currently supported by the work day app? I am not able to read them, I can’t delete them or archive them? Whyeeeee?! Needs easier way to store information to log in to work. It shouldn’t take 5 minutes to clock in. Can not check my pay stubs, please fix! This application desperately needs to get into the 21st-century. Very clunky. This app makes my working life so much easier... I can request and approve my time. Keeps crashing, very basic functions. If there was an approved website to check my payslips and enter time I’d delete the app.. in fact I’m going to call now and see if there is one. I keep trying to open my payslips and it keeps crashing. Sorry this has to be one of worst apps I've used. You have army of the "best and brightest" out in Pleasonton, CA building and testing this and should be ashamed at yourselves at what a piece junk it turned out to be. What a waste of money AND a waste time for everyone who downloaded this "app." So easy and efficient to use! I wish we had this system years ago! If you like making a new password everytime you use a app, use the workday app!! So easy to edit time and make changes. Very user friendly! Simple user experience that looks and feels like consumer applications. Wonderful to be able to take care of my responsibilities, like submit vacation requests or address changes, wherever I am! As of 12/7 I’m not able to even login into the app. So what’s the point! Hey y’all, new update is causing crashes when trying to look at pay stubs. I have no access, to my workday through this app. Couldn’t get an Id number . Not worth it. My app was updated 3 days ago. Now every time I try to look at my pay stub it crashes. The most important part to me and I can’t see it. Please fix this. App is a little confusing at the start. Just wondering if the developer could take advantage of the new way of verifying the user like fingerprints of facial recognition instead of challenging the user after 7 days. Good and easy way to use. Compared to the clunky, antiquated system we had, this app is so sleek and modern! l love that it’s always with me in case I need it! I deducted a star because the real negative right now for me is still having to remember a password! Please add Face ID and Touch ID. Workplace is an okay app. It's convenient for keeping up with your hours but I feel there should be more options. Especially, when requesting off, like am/pm, or specific hours needed, reasons for needing time off. 1: after gets approved or rejected for taking a day off or short hours shift, can not trace the reasons or find out the comments. 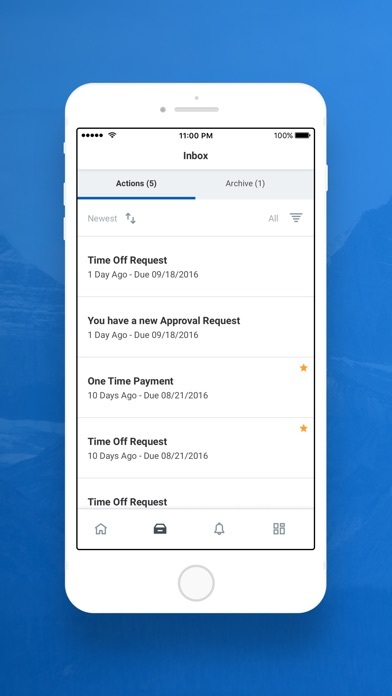 2: if workday can see the working schedule via phone that will be so easy for employees to check, instead the old fashion way. 3: TMAG event or store event would be able to gets notifications via this app. It’s won’t log me in after I approve my double authentication. I’m not sure if it’s the system, or the people in my payroll department. But my pay is seldom right. They don’t have a problem of shorting our pay, and it take weeks to get backpay. Sometimes I’m not around a personal computer. Plus with child locks installed on the computers at work, makes it a little frustrating to get things done. The app is not working since the update!! Two much scrolling around required. Poor use of screen real estate. I love the app. It’s easy to use. Very convenient! I don’t need 5 notifications that say my paycheck is available for viewing. 1 is just fine. My private, confidential information submitted for employment was given to Avid CEO Paul Dreyer after I left the company in order to threaten and harass my family if I did not stay silent about multiple safety violations and harassment by Avid4Adventure senior staff. This company does not protect your confidential information. Touch ID login doesn't register right away. This mobile app is easy to use and provides useful information. I keep trying to log on and it’ll say server error. Went to try again and the app closed several times. I’m trying to get into a new job and can’t do anything I need to do! This app used to WORK for me. Now once I log in... It crashes. 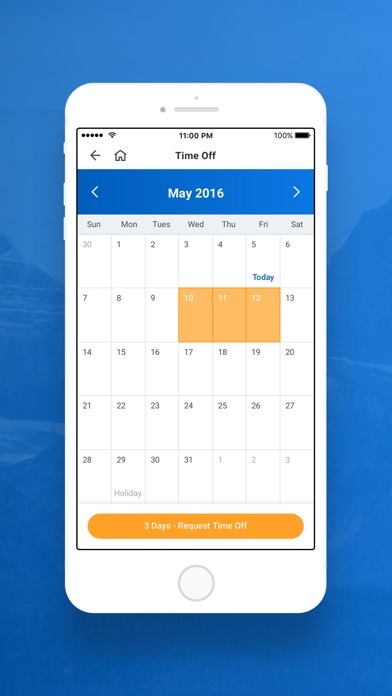 This app makes scheduling time off very easy and convenient.Modern technology is a beautiful thing. I have to manually enter username/password for a web-based SSO screen every time I launch. What is this, 2007? Works good, but needs finger print log in, because if you have a secured long password to type, it’s a pain to have to type this every time you log into your phone! Some co-workers have the time off option, others don’t. No pattern to having the option or not. Not iOS or Android reasoning, not status, or type of employee. Everything else works good, but not really the things you need to do on your phone. Always have to setup a new pin as if you were just signing up. I work third shift at Panera and use this app a lot at night time. There have been a few nights so far where when I open the app, it brings up an error message rendering the app useless. The issue isn’t fixed until the daytime. However, I do like the app for some reasons.. I like that it updates your time within minutes of clocking in/out. I like that you can easily request time off. Overall it is a decent app, but the overnight error message issue gets annoying sometimes. All you need to remember is your password the site is so easy to use!! Good job! I love the convenience of the app and all that I’m able to do like submitting time sheets or looking at pay stubs but hate that I can’t access with fingerprint or pin. I need a schedule and just overall better access to my information time cards requests all the things. And on the fifth day, God blessed His people and said, “Let there be user-friendly HCM software.” And God was pleased with His creation. I get private HR emails to other users. NOT SAFE. App does not recognize my device. Have to answer a security question or send passcode every time even with telling it to remember me. I enjoy the convenience of having Workday on my phone. I can answer most of my own questions without having to bother anyone on my days off! I used to be able to email check stub from app. That was great for when I’m at the bank getting a loan, etc. Now I have to do it from website and even that isn’t straight forward. This app is very user friendly and easy to use and navigate. Love the convenience of being able to access my time sheet after work hours to complete it. The work day is often times too busy to make time to complete my time sheet. This app is so good and so intuitive it is this side of that hal 9000 AI that probably cause the great Butlerian Jihad. Machines ought not and shall not be made in the image of men. Now I’m not saying it has crossed that line but we know what the wisdom of the orange catholic bible says about walking that edge... seriously, do you want the Quizats Haderach because that’s how the Bene Geserite ruin everything. But really the spice must flow so praise the maker and keep your Atreides finger texting to yourself. Highly confusing app. Hard to see time off requests. Just all around not user friendly. Fingerprint access doesn’t work. It works fine on my phone for other things, but not for this app. It would be very helpful if it did! Thanks!! Very convenient to have access at home. However, I wish my access to approve timesheets is back. Lost access and nobody could help me. Hasn’t been working since the last update (won’t log in and simply hangs). Please fix. Update: problem seems to have resolved after a couple weeks of not working. It’s nice to have this with you at all times as an app on your phone. But if you put in a start time of 8 o’clock, and the time happens to be 637 when you’re doing it, the end time automatically is at 37 minutes. It would be nice if there were an easy or quick way to automatically get that minute to :00 or :30 since most people start at the top or the bottom of the hour. Then at the out time, it does the same thing. It should into with that if I started at in o’clock, I’m going to end at an o’clock. But there’s that 37 again. It’s not a big hassle just an unnecessary inconvenience.I would think this app would intuit that my end time minutes column is probably going to be equal to my start time. I love workday!!! It is so user friendly. Could not be simpler or more accurate. Great program, Jencare.!!!!! Workday is terrible. It is the opposite of user friendly. I shouldn’t have to call over my manger to figure out how to cancel a previously requested day off. Worst product ever.